Alcohol has occupied an important place in the history of humankind for at least 7000 years. In western society, beer and wine were the main staples of daily life until the 19th century. These being relatively dilute beverages were preferred over water, which was known to be associated with acute and chronic illness. They provided important calories and nutrients and served as the main source of daily liquid intake. A system for improved sanitation and water purification were introduced in the 1800s, wine and beer became less important components of human diet and the use of alcoholic beverages consisting distilled preparation with a higher concentration of alcohol, shifted towards their present-day role, in many societies, as a socially acceptable form of recreation. Today alcohol is widely used. Like other sedative-hypnotic drugs, alcohol in low to moderate amount relieves anxiety and fosters a feeling of being happy or even produces euphoric feelings. However, alcohol is the most common abuse thing in the world and it is the major cause of vast medical and societal costs. Although the majority of people are able to enjoy the pleasurable effects of alcohol without allowing their alcohol consumption to become a health risk, still few proportions of people from the general population are unable to limit their alcohol uses, and this condition is called alcohol abuse. 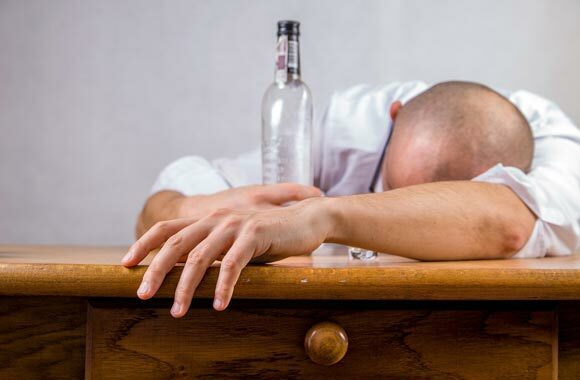 People who continue to drink alcohol despite medical and social bad consequences related directly to their alcohol usage suffer from alcoholism. The alcoholism is a complex disorder with genetics as well as environmental determinants. It is a state when an individual becomes dependent on alcohol for everything. He uses alcohol in order to get relief, to perform some important tasks and make his routine to drink it in anyhow. Such individuals suffer from severe anxiety and cravings due to the deprivation of alcohol. They totally become dependent on it both psychologically and physiologically. If they do not get alcohol they feel agitation, seizures, tremors, and insomnia. Effects on Central Nervous System: These are sedation, loss of inhibition, slurred speech, impaired judgment, and irregular movements. Impairment in driving ability also occurs. Effects on Other Organs: It depresses the heart, relaxes the vascular smooth muscles and causes hypothermia. Tolerance and Dependence occur as a result of adaptation. Liver: Diseases of the liver are common in people suffering from alcohol abuse such as cirrhosis of liver, hepatitis and liver failure. Gastrointestinal Tract: In the gut scarring, irritation, inflammation, and bleeding occur and may result in absorption defects and nutritional deficiencies. Central Nervous System: Peripheral neuropathy is most common among chronic alcoholics. If there is thiamine deficiency in them, it will lead to Wernicke-Korsakof syndrome. Endocrine system: Gynecomastia, testicular atrophy and salt retention occur. Cardiovascular System: Hypertension, anemia, arrhythmias, and cardiomyopathy are common. Neoplasia: The increase and chronic use can lead to neoplastic changes in the gut and in female breast cancer chances increase. Various symptoms are treated with different medicines like benzodiazepines. For treating alcoholism acamprosate is FDA approved drug, other including naltrexone and disulfiram are also found beneficial in treating chronic alcoholism.